At the risk of sounding like an uneducated pleb, I confess that being asked to review yet another book dealing with the history and culture of the Netherlands did not fill me with unabated excitement. A quick flip through the pages revealed the inclusion of the obligatory topics found in every book about the Netherlands – the Golden Age, water, windmills, land reclamation, bikes, drugs, Anne Frank and prostitution. Yet by the time I reached the last page of the book’s introduction, my hesitation had disappeared, and I eagerly sat up late into the night reading Why the Dutch are Different, laughing often and enjoying the ride into the history of my adopted homeland. Why the Dutch are Different provides the answers to all the questions I had but didn’t dare ask in my quest to understand what was going on around me in the Netherlands. New author, Ben Coates, is the Englishman brave enough to venture into the midst of the Dutch people, ask the questions, do the research, drink the cheap cocktails and wear the tiger outfit to Carnival. He unearths what the natives think about issues like immigrants, social security, Geert Wilders and Zwarte Piet. 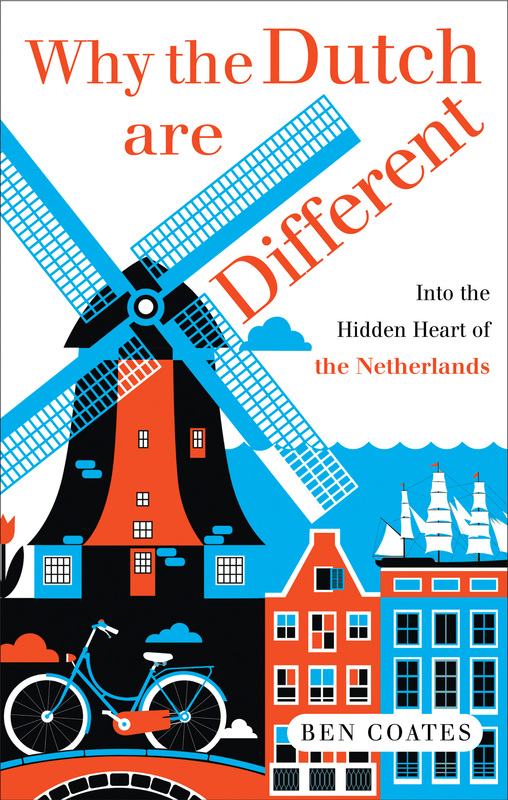 By connecting the dots of major historical events – up to and including present day events – the reader is presented with a clear explanation of what it means to be Dutch. The contents of the book are far reaching, albeit manageably sorted into seven chapters. In each chapter the author travels to various Dutch cities, attending local events. Each event is supported by historical background information with a modern day commentary. An analysis of Dutch tolerance of prostitution, drugs, religious and political beliefs, is both interesting and accessible. A day spent researching and celebrating carnival in the southern cities of Maastricht, Eindhoven and Breda includes a discussion on the impact of religious divides on the Dutch people and country. Attending Amsterdam’s museum night leads to a discussion about the Golden Age. Taking a picnic in Drenthe incorporates a discussion about the Nazi occupation during WWII and the Dutch response to protecting its Jewish citizens. So – Why are the Dutch Different? The answer seems to be hidden in how Dutch history has shaped the country’s present position. There are many obvious factors like water management; windmills; an addiction to dairy products; biking; and the over-popularity of business meetings. A deeper understanding of the country and its people is a prerequisite to truly feel at home in the Netherlands. I can thoroughly recommend this book.